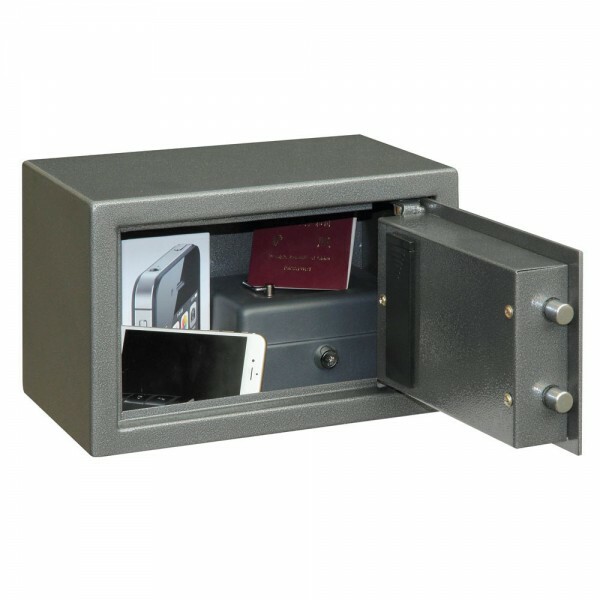 The Phoenix Vela Electronic Safe Size 1 is a suitable for the home or office and is has an LED inside to enable contents to be seen even in dark cupboards. It is fitted with an advanced high security electronic locking with high security anti-tamper or bounce solenoid locking system. In addition, it has a key override option in case the codes are forgotten. 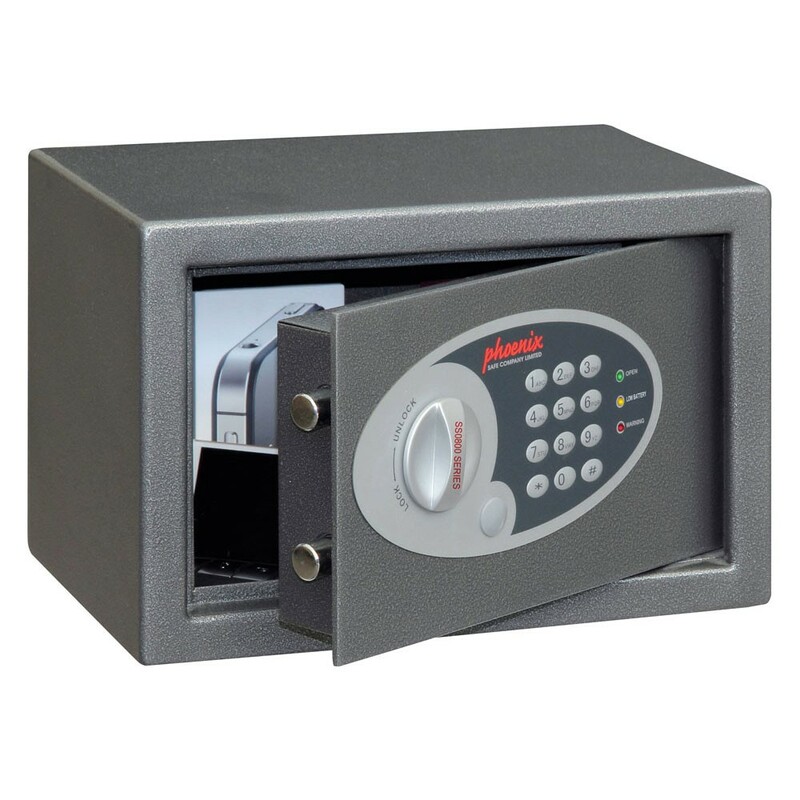 The Vela Electronic Safe Size 1 safe is locked by twin live locking bolts and concealed hinged to maximize security. It is recommended for an overnight cash risk of £1,000 or valuables worth £10,000.